is the individual approach based on the evaluation of the user´s requirements for the designing of an optimal and effective solution of the fire safety for the protection of human lives and property preserving the quality requirements of the valid legislation. 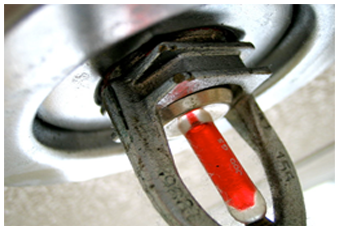 Sprinkler System Ltd. has been established in 2008. Due to the long-time experience and supported by a team of qualified experts and specialists we are able to offer you the best complex service in the area of the active and passive fire protection. The major aim of our Company is the individual approach based on the evaluation of the user´s requirements for the designing of the most optimal and effective solution of the fire safety for the protection of human health and lives and the property protection preserving the quality requirements of the valid legislation. Fire safety analysis of the fire-fighting equipment, project documentation of the fire safety of structures and consulting. Design, implementation, delivery, erection, maintenance, full guarantee i.e. follow-up warranty and post-warranty service of the electrical fire signalization. Design, implementation, delivery, erection, maintenance, follow-up warranty and post-warranty service of fire hydrants. Delivery and implementation of fire-protecting transitions and fire protective coating of steel structures.